Many thanks to Ann and Meirion for looking after me. 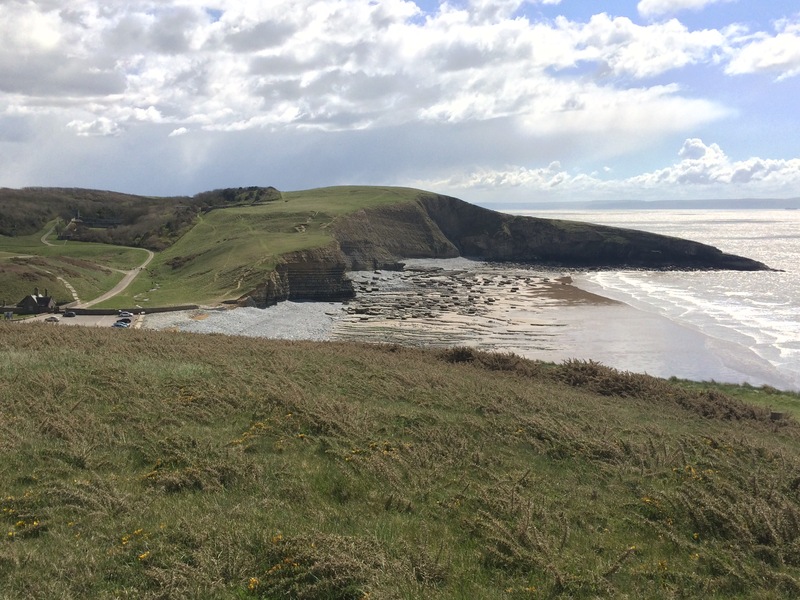 Meirion gave me a lift down to Sandy Bay and I walked past the funfair and all along the beaches of Sandy Bay, Trecco Bay and the edge of the Merthyr-mawr Warren Nature Reserve. It was high tide so there wasn’t much beach but lots of shingle. 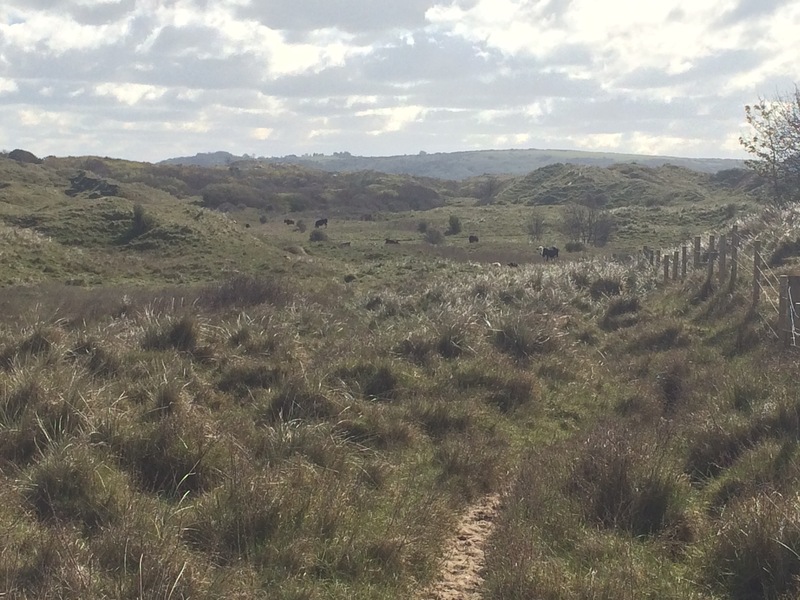 I reached the Ogmore River and had to divert inland, through the Merthyr-mawr dunes (apparently the 2nd highest in Europe), around the sewage works hidden in the trees, past the remains of Candleston Castle, to the village of Merthyr Mawr. It was a lovely walk and very quiet. 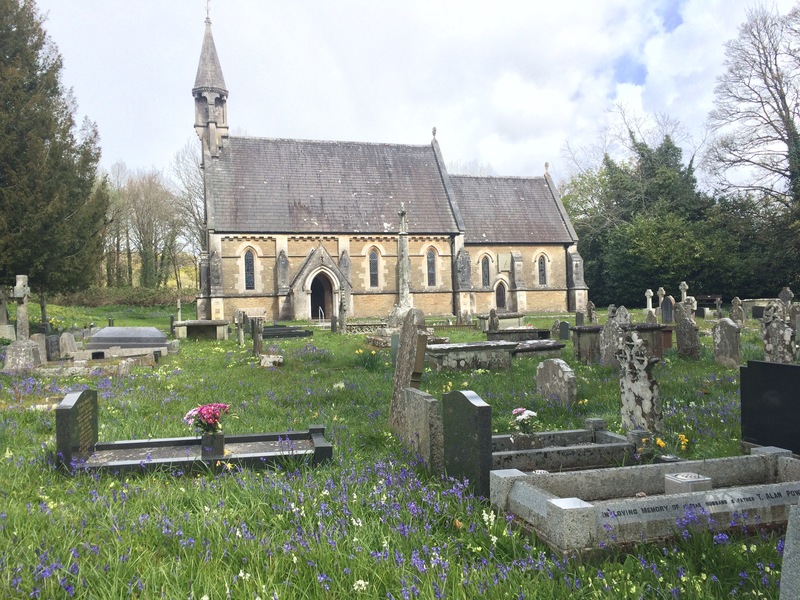 Merthyr Mawr was very picturesque with its thatched cottages and church surrounded by a carpet of bluebells on the banks of the river. 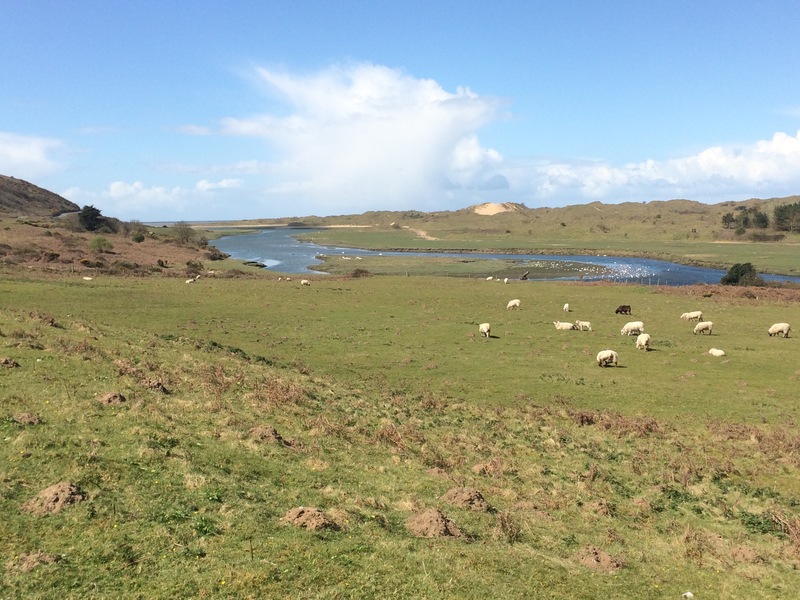 I crossed two bridges to Ogmore, which also meant I was now in Glamorgan. I found myself back at The Pelican pub (too early for lunch!) 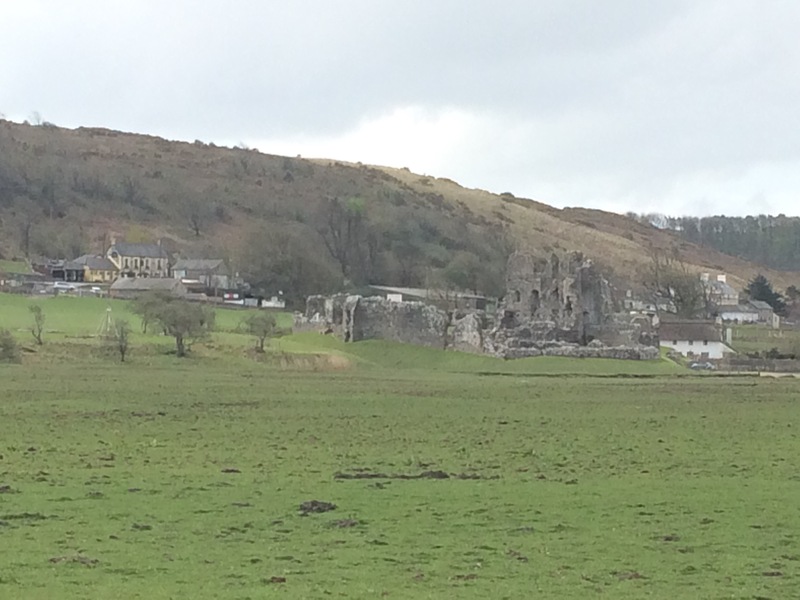 and alongside Ogmore Castle (another Norman Castle built 1116). 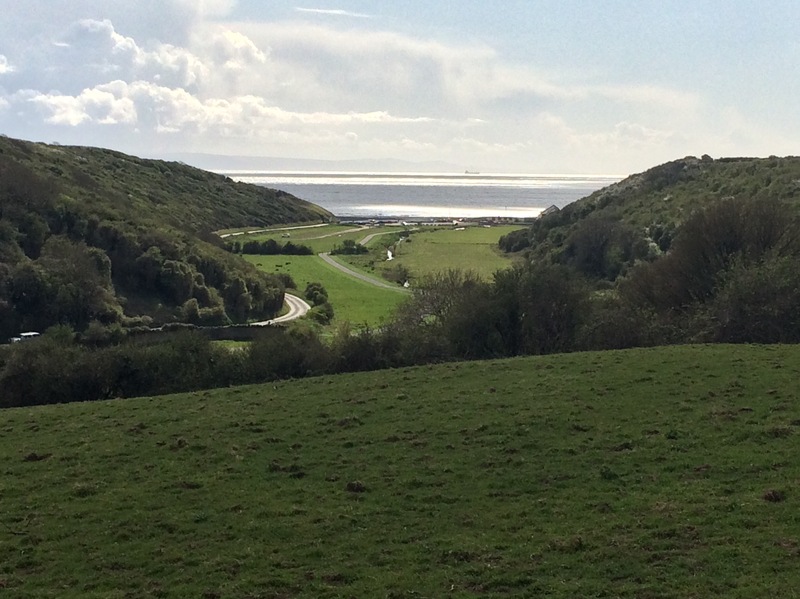 It didn’t take quite so long to walk the road down to Ogmore-by-Sea and then I was back on cliffs. 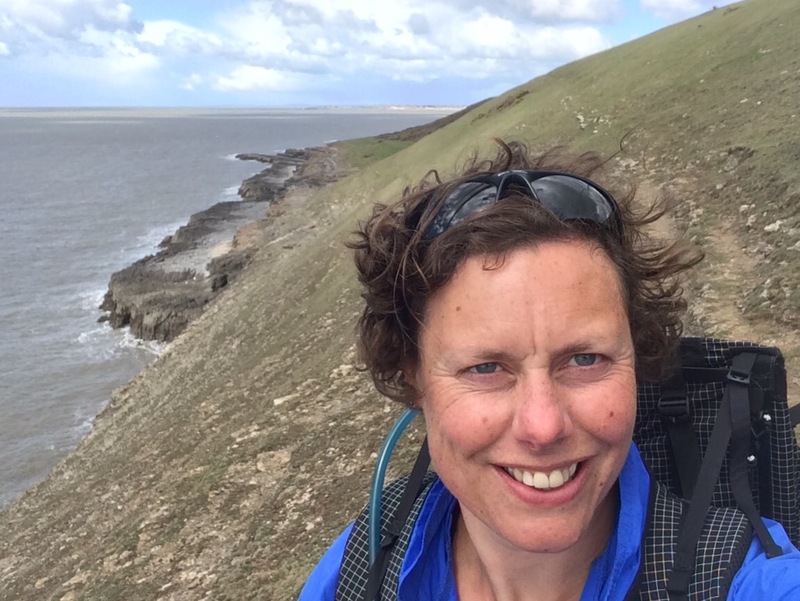 I walked along to Southerndown and stopped at the pub there for lunch. The wind was picking up and I could see squalls of rain that kept just missing me. A huge sausage sandwich later and I felt invigorated and ready to carry on. It was very windy and at times I felt like my rucksack was being ripped off my back. Great fun walking along some very exposed cliff tops with no fencing and lots of cliff falls. 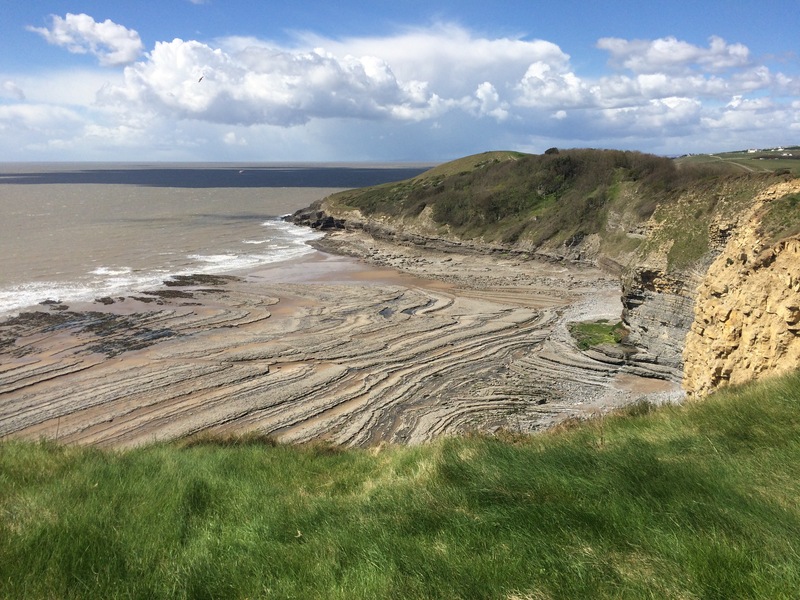 The Glamorgan Heritage Coast has the 2nd biggest tidal range in the World. 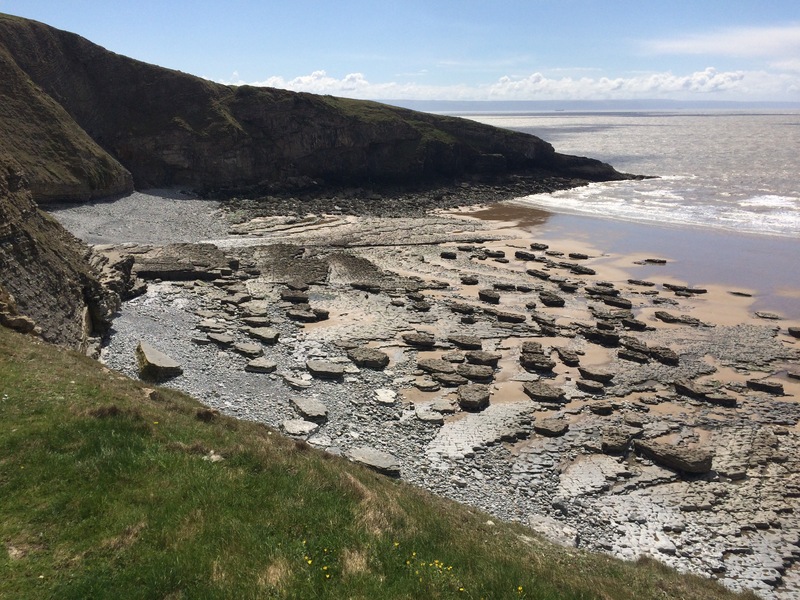 I was glad that I had stopped for lunch because the walk from Dunraven Bay to Nash Point should be done at low tide. I would have been possible to walk the whole way on the beach; however, I stayed on the cliff top and was rewarded with some spectacular views of the rock formations. Dunraven Bay used to have a huge mansion house but it was demolished in the 1960s as it became unaffordable. There is a small heritage centre there and walks through the gardens. The beach has lots of large rocks on it known as ‘dancing stones’. 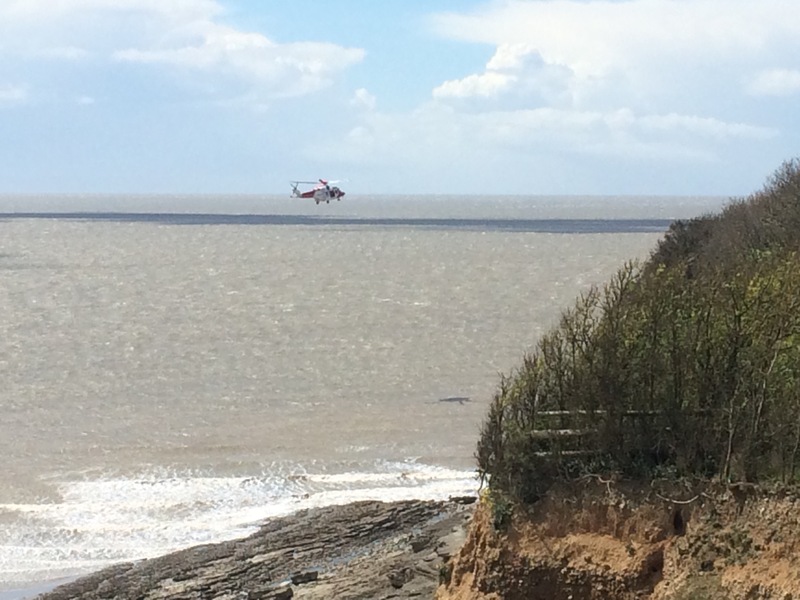 It was very noisy as a coastguard helicopter was practising something around the cliffs of Witches Nose, the bit that sticks out at Dunraven. 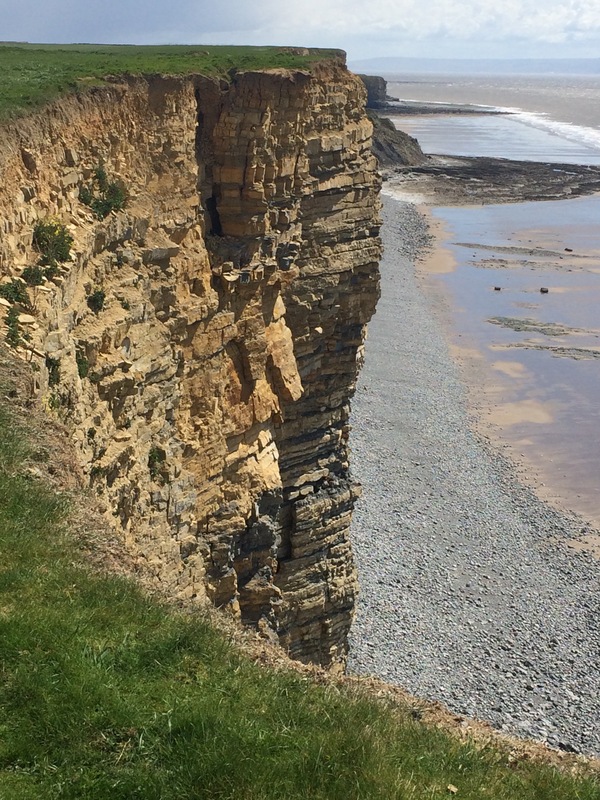 The Blue Lias cliffs on this stretch of Glamorgan coast are spectacular. They are formed by layers of limestone and shale, and they captivated me. Around every turn the cliffs, and the flat rocks on the beaches below, gave another dramatic view. 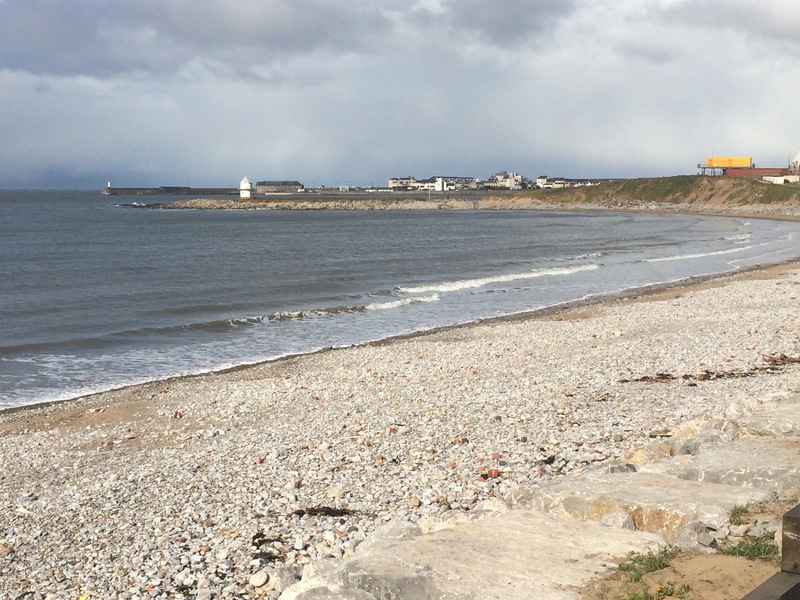 I rounded Nash Point, which has 2 lighthouses (one not used), and arrived at St Donat’s Bay. 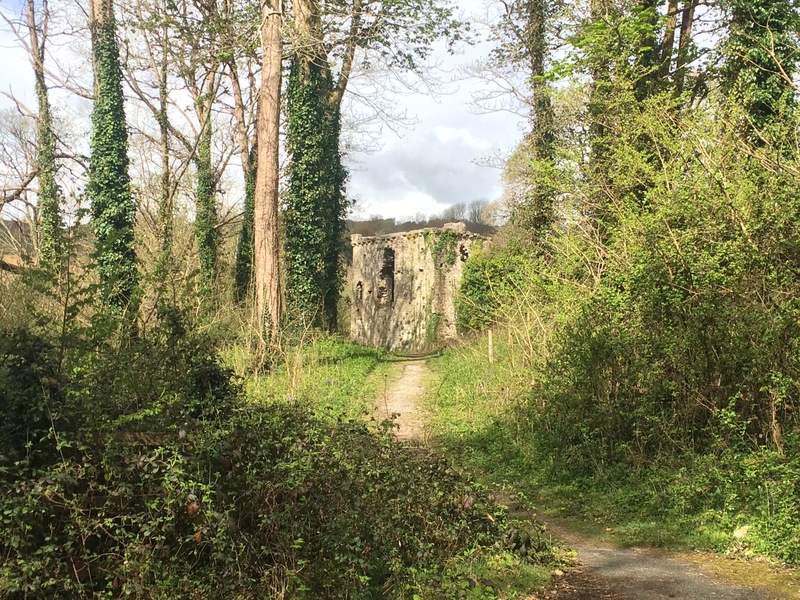 This was a strange place; concrete castle-like walls the length of the small bay to keep the public out. 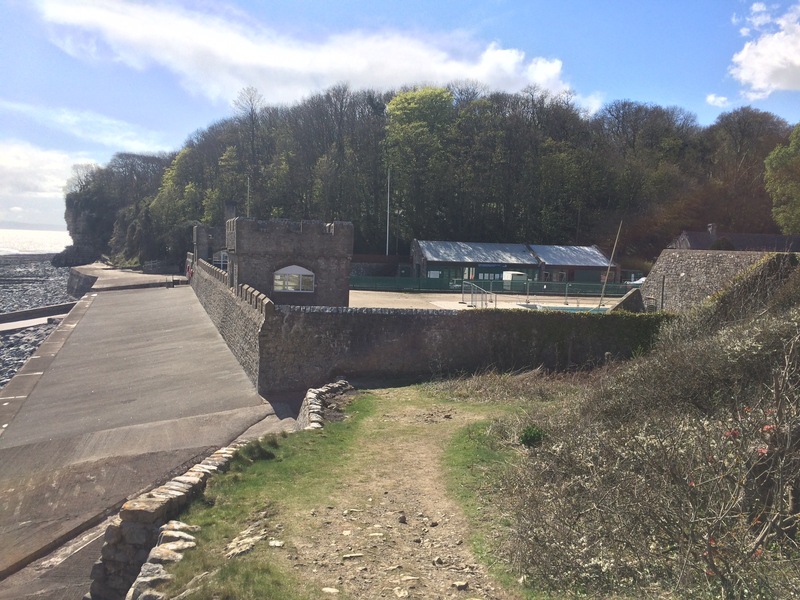 I could see an outdoor swimming pool behind the walls and it looked like some sort of activity centre. To get to the town behind I can only assume one must walk through the small wood on the side of the cliff? 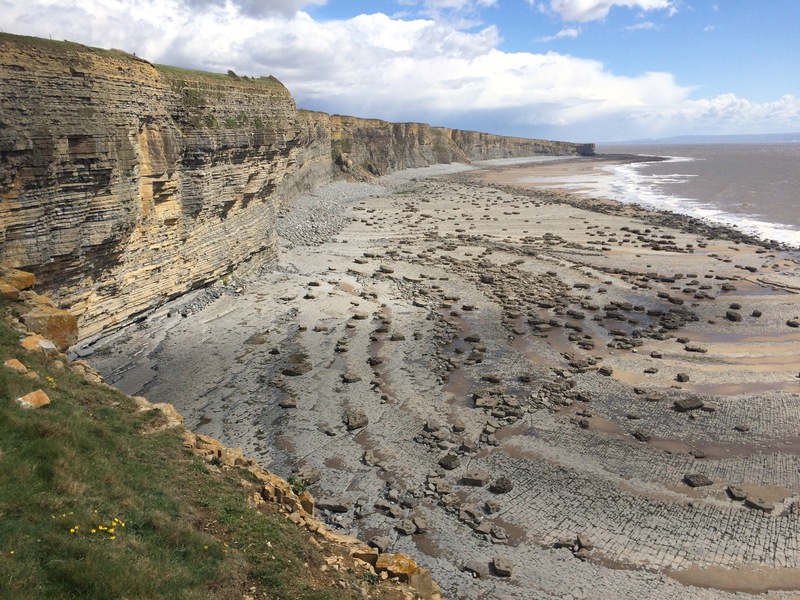 I reached the cliff top overlooking Col-huw Point, the spit of shingle that forms Llantwit Major’s beach. Here I headed into the, larger than I expected, town to catch the train back to Cardiff. Llantwit Major certainly seemed like a thriving community with lots of shops, several pubs and a lovely old centre. 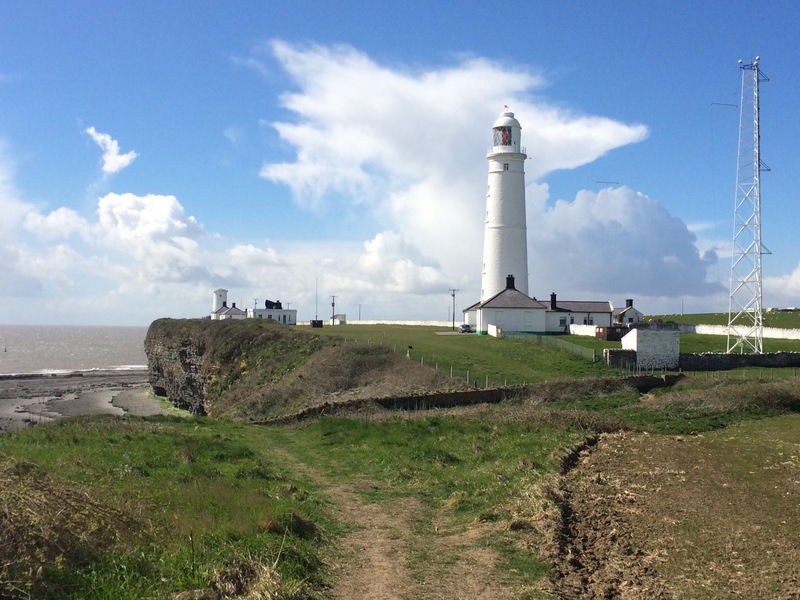 Another outstanding effort….19 miles truly impressive….the Blue Lias cliffs look gorgeous.